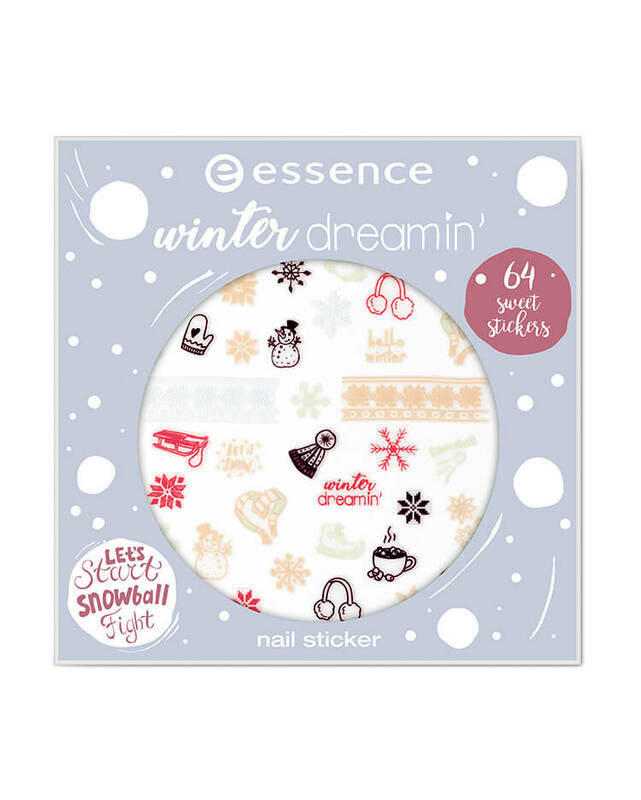 Germany-based Essence Cosmetics has just released a new collection, Winter Dreamin’, to kick off 2018. The online exclusive, limited edition collection consists of four new nail colors (US$1.99), a snow ball top coat ($3.99), and nail stickers ($1.49), as well as an eyeshadow palette ($9.99), sheer lipsticks ($3.99), inner rim eye pencil ($1.99), 2in1 highlighter & blush powder ($5.99), and fluffy snow touch hand cream ($4.99). These are marked as online exclusives on the US site. They are not (yet?) available on the Canadian site. Haven’t seen this collection launch here yet, I like the look of Hot Cocoa & Fuzzy Socks and Sleigh Rides & Snowball Fights most (although those names are too fricking long for a nail polish! 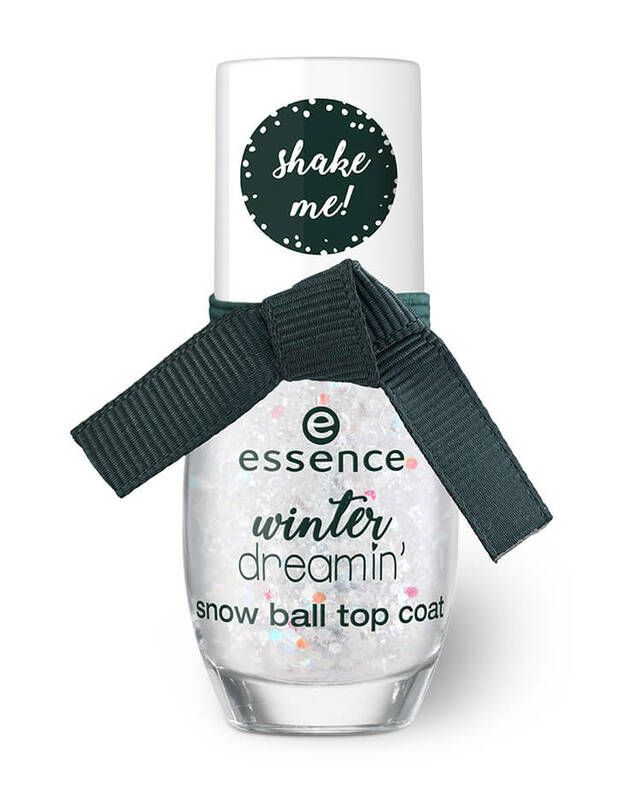 Intrigued to see what the Snowball topcoat looks like swatched – it reminds me in the bottle of one I bought whilst in Turkey from a brand called Golden Rose. Ive never tried the Essence polishes. Sleigh Rides & Snowball Fights looks adorable!